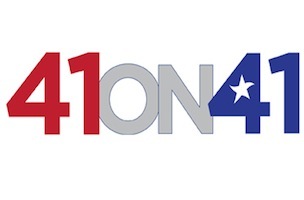 CNN Films has acquired “41ON41,” a two hour program on the 41st President of the United States, George H. W. Bush, featuring commentary by 41 family members, world leaders, and White House staff, among others. The program will air on Father’s Day, Sunday, June 15 at 9pm, three days prior to the President’s 90th birthday. Bush White House speechwriter Mary Kate Cary and Rick Kaplan, formerly of CNN and ABC News, serve as executive producers of “41ON41,” to be led by First Lady Barbara Bush. Of the 41 participants is former Secretary of State for President Bush James A. Baker III, former NBC Nightly News anchor Tom Brokaw, President George W. Bush, White House butler Buddy Carter, President Bill Clinton, former director of the CIA under President Bush Dr. Robert Gates, President Barack Obama, General Colin Powell, and Dr. Condoleezza Rice.